Ariaal Elder. 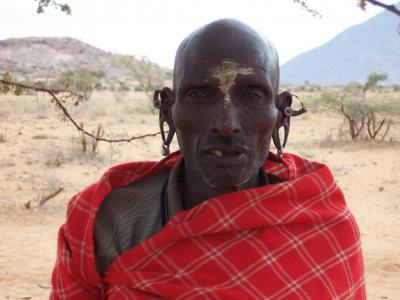 The Ariaal are northern Kenyan pastoralists. This is the fourth in a series on understanding Attention Deficit/Hyperactivity Disorder (ADHD). Today I want to examine if there is in fact an evolutionary advantage in having ADHD. ADHD is strongly genetic and the genes involved regulate the levels of two neurotransmitters called dopamine and noradrenaline (noradrenaline is called norepinephrine in North America) – chemicals which act as messengers between nerve cells. Hyperactivity has long been part of the human condition and some ADHD – linked genes are more common in nomadic populations and those with more of a history of migration. In fact,the health status of nomadic men such as those from the Ariaal people in northern Kenya was higher if they had an ADHD – linked gene. However, recently settled Ariaal men seemed to have slightly worse health. In nomadic Ariaal society, those with ADHD may be better in tasks involving risk, competition, and/or unpredictable behavior (i.e. exploring new areas, finding new food sources, etc.). For instance, an Ariaal person killing a lion is highly respected and in these situations, ADHD would have been beneficial to the society as a whole even while severely detrimental to the individual.In addition, women in general are more attracted to males who are risk takers, thereby promoting ADHD in the gene pool. This might help explain why ADHD-linked genes have survived to the present day but are more suited to a previous nomadic, risk-taking lifestyle. More recent research suggests that because ADHD is more common in mothers who are anxious or stressed that ADHD is a mechanism of priming the child with the necessary traits for a stressful or dangerous environment, such as increased impulsivity and explorative behaviour etc.